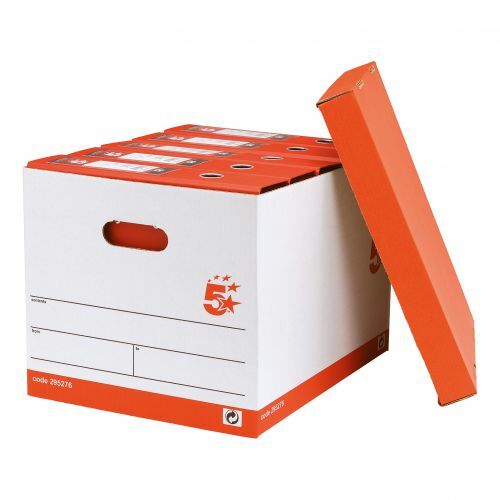 5 StarT Office Storage Boxes are part of a fantastic economic range of products to suit your everyday needs. They are made from 100% recycled board and are singled sided so should only be stacked up to three boxes high. The boxes are easy manual assembly. 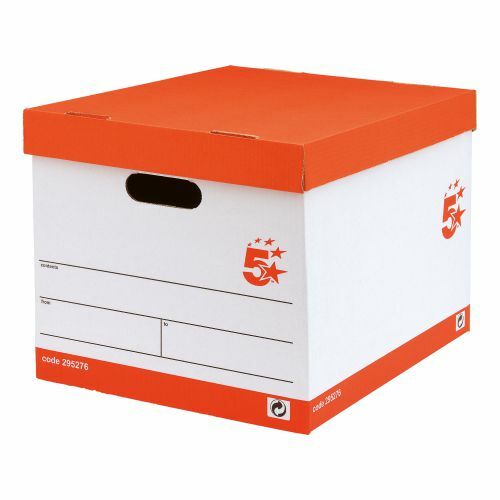 This box is designed to hold Transfer Box Files, Lever Arch Files and Ring Binders.